Today Apple finally seeded iOS 7 beta 4 IPSW to developers. The company has stuck with a fortnightly release schedule for iOS betas this time around. However, due to the fact that Apple Developer Portal had been down for over a week, the release got delayed. Yesterday Apple finally managed to bring back the portal online, so today we’re being treated to iOS 7 beta 4 download links. It has been over three weeks since the previous iOS 7 beta 3 for iPhone, iPad and iPod touch was seeded to developers. The Apple Developer Portal had actually been hacked about a week ago. To prevent any further damage or potential loss of sensitive information, Apple shut down the Portal. So naturally there wasn’t any incentive to push out iOS 7 beta 4 IPSW when developers wouldn’t even be able to access it. The Portal is now up and running, registered developers can now head on over there and get the latest iOS 7 beta for their iOS devices. Apple only seeds beta firmware to developers because the kinks need to be worked out first before the firmware can be rolled out to the general public. 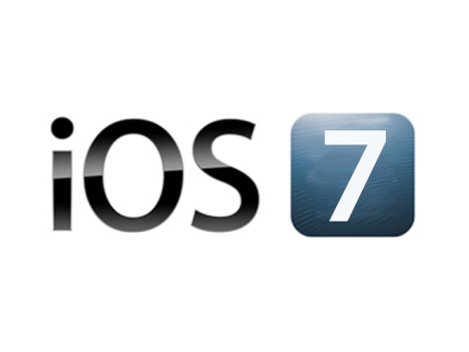 Anyone who is not a registered Apple developer can’t legally obtain iOS 7 beta 4 IPSW. As far as what’s new in iOS 7 beta 4 is concerned, the changelog reveals that there are a number of crucial bug fixes and improvements. As per recent reports, the company has made slight changes to the lock screen UI. It is possible that they have made changes to iOS 7 graphics as well. Previous rumors have suggested that Apple is continuing to tweak the UI and graphics throughout the beta stage. It is believed that Apple will release two more betas of iOS 7 before finally releasing the GM build, after which the public release becomes imminent. Registered developers can now download iOS 7 beta 4 IPSW from the developer center. We’ll continue with our coverage on iOS 7 beta, more information on what’s new in this particular release will be featured over the coming days as developers get their hands dirty with it. If downloading iOS 7 beta 4 IPSW from Apple isn’t your cup of tea, any iOS device that’s running a previous beta version of iOS 7 is capable of downloading this latest update over-the-air.